We have some interesting news for Canadian fans. Cineplex is hosting their Community Day next week on Saturday October 27, 2018. This an event that gives the community the chance to watch past movies on the big screen for free. 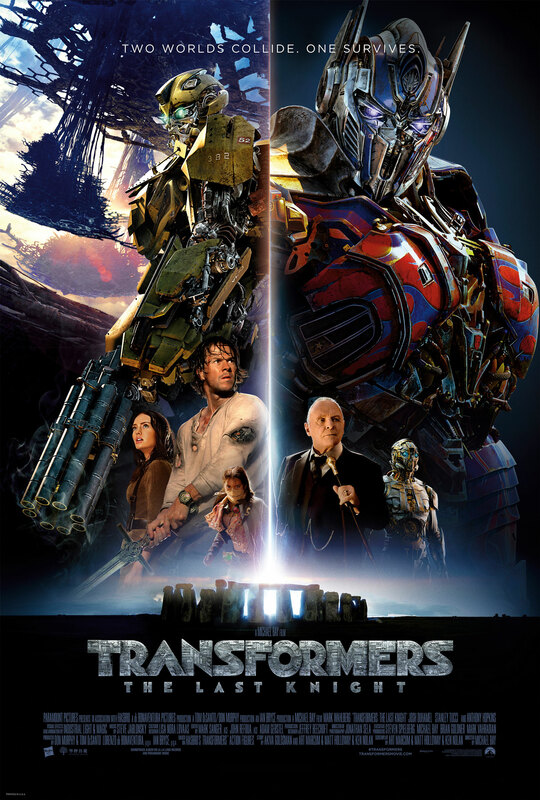 This time, Transformers: The Last Knight is one of the movies. Concession stand snacks start from $2.50 and all proceeds go to the WE Charity. If you live in Canada and want to spend some time at the theater with Transformers and friends for a good cause, this is your chance. You can check the participant locations and the full list of movie and schedules here. See, i actually like #1 (minus the sophomoric potty humor and, ya know, the robot designs) and 3 was an OK mindless action movie with some jaw dropping cinematography (the squirrel suit insertion in Chicago really is a thing to behold) and an actual decent villain in Sentinel Prime (Megatron has never been more one-note then in Bayverse… but that's almost one more note then Shockwave got!!! ), but man, 4 was just so much nonsense. The redesigns to look more human-proportioned, no clear reason why anyone was doing anything, the absurd nanite-transformations (that still makes me mad just to even think about), the "hey lets go to china because reasons!" third act… i didn't even watch it until it hit Blu-Ray the reviews were so bad, and it was such a slog it took me twice to actually make it through. It should've been DOTM.. More bots, More action, More transformation sequences. More conflicts. TLK didn't have a single transformation sequences of Optimus Prime. Me too, I can defend Bayverse from 1st to 4th film, with half of ROTF and half of AOE. I'm a fan of TFs but TLK made me disappointed. Never again. Not even for free. This is hilarious. Only a film like TLK would be played for free. I’m not sure how well it will go for the charity though. I do hope it succeeds though. Even RotF I’d accept to watch for free. It’s great that all of the money goes to charity. However, I doubt many people would consider watching this film, even for free; they should have picked another Transformers film. Yeah it really just doesn’t make sense why they’d pick the worst movie in the franchise. TF1 was actually a good movie, TF3 was pretty good and really cool to watch, TF4 at the least was action packed and tried to develop Optimus’s character, and TF2 had the most different robot designs if nothing else. Both are equally bad, yet the movies have better aesthetics. Yeah that’s what I’ve always thought as well. Yeah he was a cool design, I almost forgot about that.